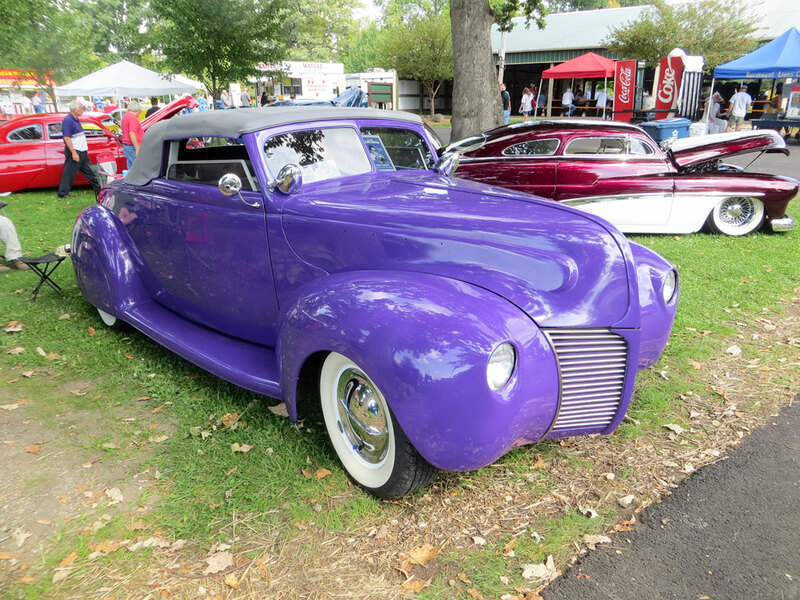 Sometimes, close to 4,000 hot rods and specialty vehicles drive back and forth between events on that weekend. Neither town has a massive population nor enough motels so the nearby city of Marion (population of 30,000-only five miles from either event) benefits from the influx of car people and it is the place for motel stays and has plenty of choices of restaurants, malls, and shopping. The James Dean Festival celebrates the movie star’s life (and death on September 30th, 1955) and the entire town gets in on it. The Main Street of Fairmount closes and locals and other vendors set up right on the Main drag to sell all kinds of stuff, including plenty of food, there’s even an old-fashioned carnival on the streets. The three James Dean museums stay open during the weekend so one can see how the man grew up in the small community and progressed thru his short life before becoming a Hollywood Legend. 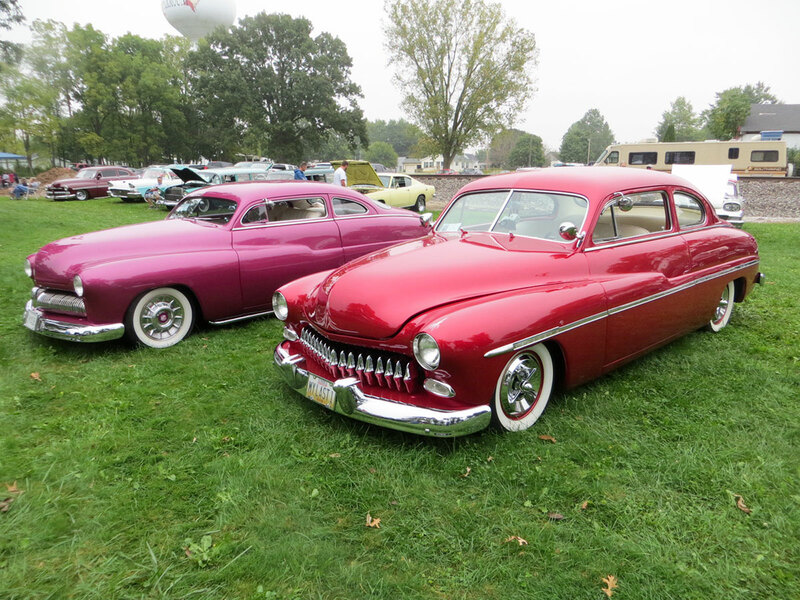 The car show itself actually happens at Fairmount’s Play Acres Ball Park just south of town, there’s plenty of grass for parking and of course, plenty of vendors there as well including several James Dean displays. A large swap meet goes on in conjunction with the event and it’s a full three-day event, with a couple of live bands in the evenings. The event begins on Friday morning and ends Sunday afternoon with the awards ceremony. 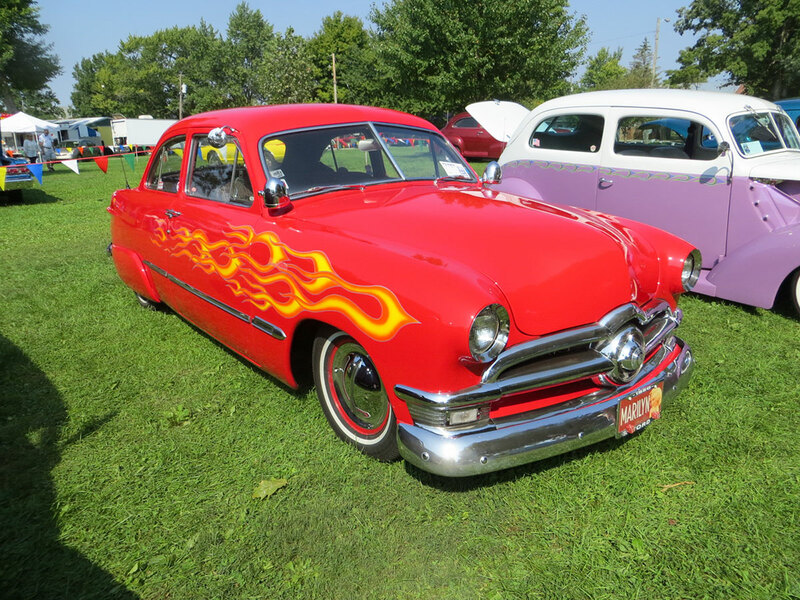 The Gas City event is a local rod run, albeit huge, they allow all kinds of vehicles in to park in their circuitous city park, complete with a cruising lane and two ponds in the middle. “Jeff’s Junk Yard” features so many swap meet vendors it takes up nearly a quarter of the park…but, of course, there are “treasures” to be had there and the prices are low compared to other swap meets. Gas City has a unique way of “judging” cars – one has to drive the car thru their “drive-thru” judging area on either Friday, Saturday or Sunday. A team of judges looks over the car and in less than 10 minutes and you drive back out…you don’t know if you’ve “won” until the Sunday awards at 2:00 PM. At the Fairmount event, they have four different judging events: the Friday Top 20 and the Saturday Top 20 –those awards are handed out at 5 PM on those days; the overall “class” awards at the closing ceremony on Sunday and the famous “Merc Corral” awards. 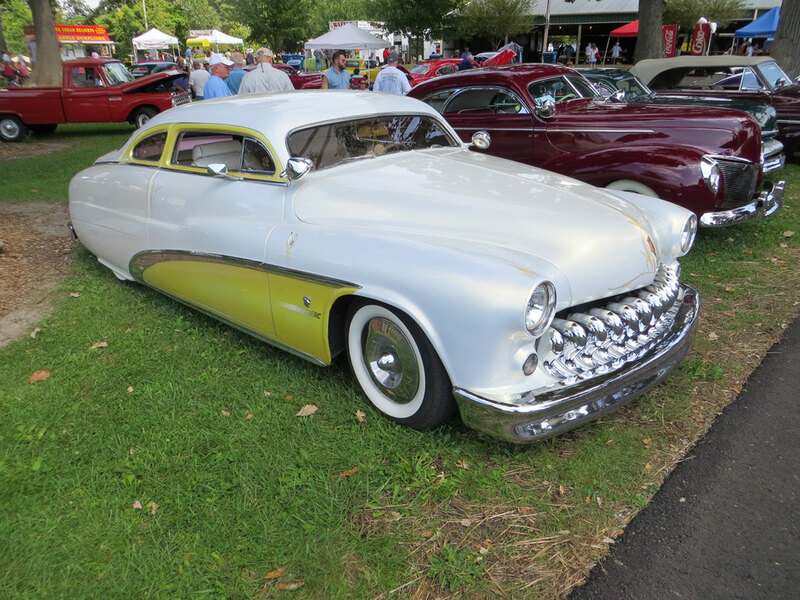 The Merc Corral features anywhere from 50 to over 200 Mercurys (mostly ’49-51’s but accepts all years) and is placed prominently at the entrance. At one time in the not-too-distant past, The Ducktail Run and the James Dean Event were combined and held in only one city, but the promoters had a falling-out so they split up…it’s been equally successful for both groups in the past few years. Many of the participants will enter both shows just to be able to go back and forth between the two which means that each event feeds the other-probably a total of somewhere in the neighborhood of 3,000-4,000 cars attend both events. Should you find yourself with nothing to do next September, consider a trip to Fairmount, Indiana- you won’t be disappointed.